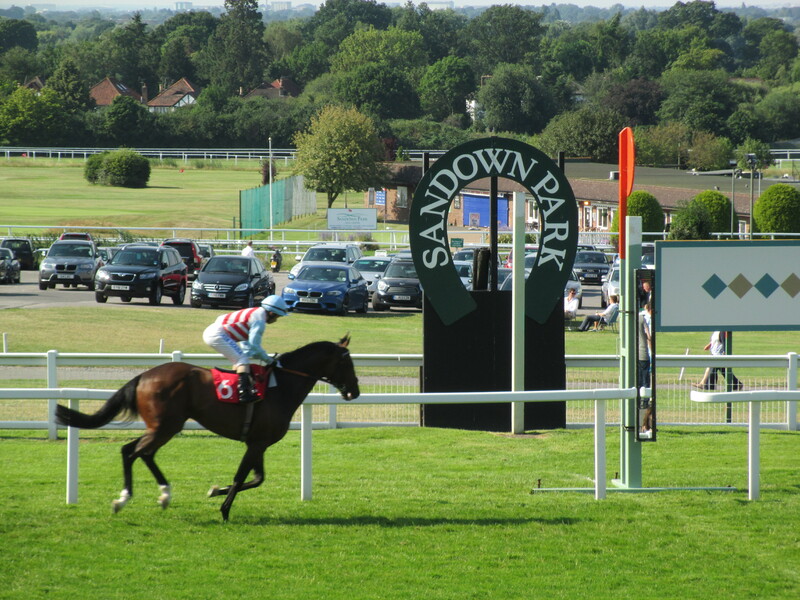 Sandown Park hosts national hunt and flat racing. Coneygree scored a wide-margin victory in his first race since landing this year’s Betfred Cheltenham Gold Cup when winning a Listed race at Sandown Park on Sunday. The Mark Bradstock-trained eight-year-old was never headed in the three mile 188Bet Future Stars Chase. Coneygree extended the advantage over his two rivals three fences from the finish, to win unchallenged by 25 lengths. The manner of the victory delighted Bradstock, who confirmed the immediate target was the valuable Hennessy Gold Cup Chase at Newbury on November 28, a race Bradstock won with Coneygree’s half-brother Carruthers in 2011. “That’s just what the doctor ordered and hopefully it’s onwards and upwards. That was great – I’m really pleased,” Bradstock said after the victory of his charge, who was cut to 5-1 joint-favourite (from 6-1) for the Hennessy with Betfred. “I was a little tense, to say the least, and I wanted to get the first run out of the way. “He jumped super and he is so deceptive, the pace that he goes. It was not a total walkover but he put them to shame with his jumping and his galloping. I don’t think he had a particularly hard race. “The Hennessy is the plan and we’ll go from there. We’ve got to give a bit of weight away, but we’ll give it a go as others have done it before. “He will love the track and it is three and a quarter miles so they will have to go a bit,” the trainer said (Weatherbys report). Winning jockey Nico de Boinville was also pleased with the performance of the winner, who is best-priced at 7-1 for the 2016 Betfred Cheltenham Gold Cup, where the betting is headed by Vatour (9-2). “It was a really nice, clinical performance,” the jockey said. “I’m delighted with that – it was just what we wanted. He felt great. We were in tight a couple of times and he shortened up well.